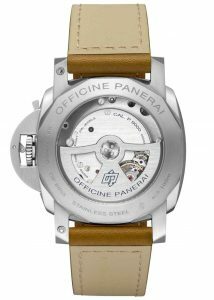 A few days ago Officine Panerai launched the PAM849 Special Edition Sealand Model watch targeted for the Middle East market, mainly Qatar and Saudi Arabia. 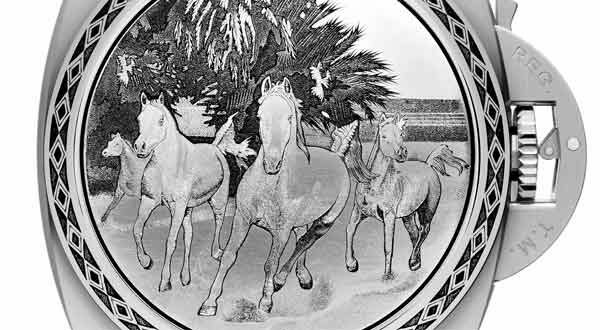 The Special edition piece was created in conjunction with retailer Ali bin Ali. 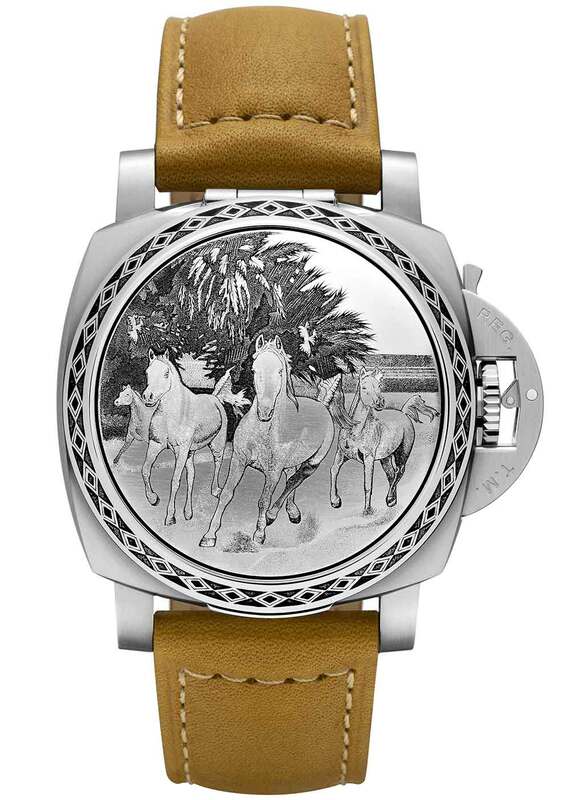 The 1950’s case Sealand features a beautifully hand engraved hinged cover that is a main feature of these models. They have done a number special edition Sealand models for the Chinese new years featuring the zodiac animal for the corresponding year such as the Year of the Dragon Sealand from a few years back. 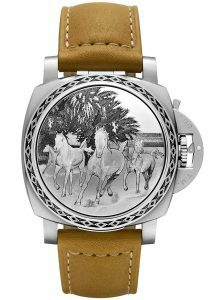 This particular special edition features the beautiful white Arabian horses running through a desert of palm trees with the sea as the backdrop. This particular breed originated in the area and is one of the most distinctive looking and oldest breeds known to man. 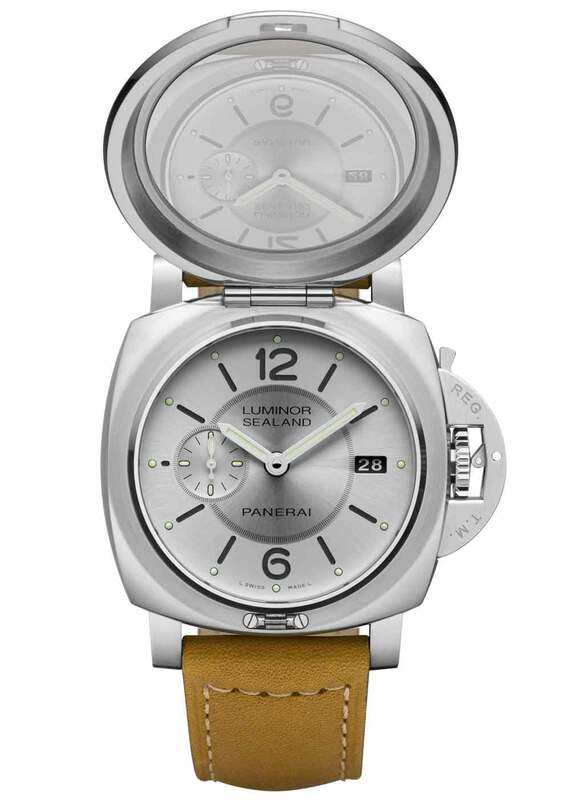 The engraving on the lid of this Sealand covers the 44mm Luminor case that is made from brushed steel and finished with the iconic crown guard. 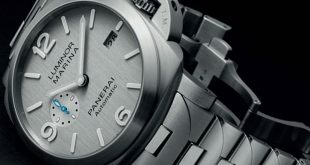 The bezel on the PAM849 is polished giving it a nice contrast to the watch case. 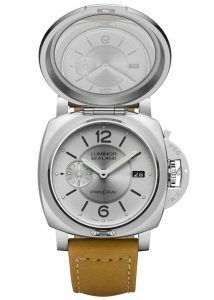 The dial is has two different rings, the outer one is more of a matte silver color while the inner ring is almost a mirror like darker silver color. The numbers and baton are printed in black and has small luminova dots on top of all the markers as opposed to the actual numbers have lume. 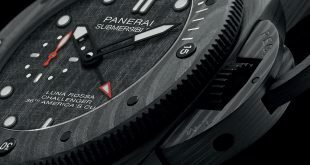 In place of the 3 there is a date window and on the opposite side is a silver sub second dial that overlaps the two different sections of the dial. 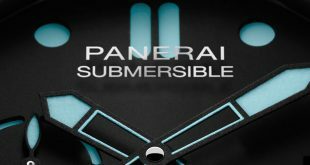 Inside this hand decorated masterpiece the heartbeat of the PAM849 is the P.9000 calibre automatic wound in-house movement executed in Neuchâtel. 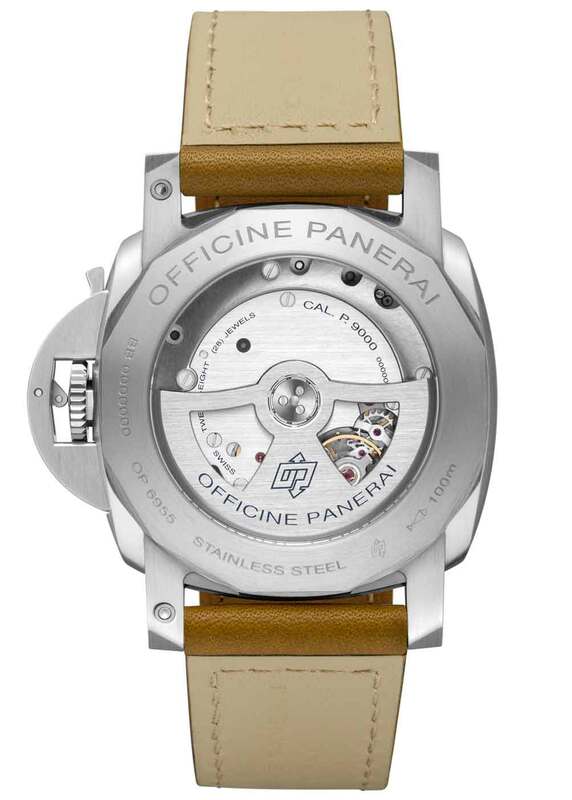 The movement features a 3 day power reserve, 28 jewels, and 197 components. The special edition is limited to only 60 units and it is sold exclusively through the Doha Villagio Mall in Qatar and in the Kingdom of Saudi Arabia at Al Tahilia in Riyadh as well as Jameel Square in Jeddah. 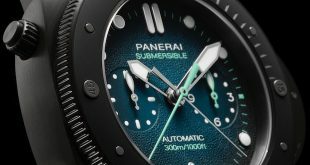 The price of the PAM849 is roughly $23,150 USD or AED 85,000.